Most of us spend a lot of time on the Internet and in social networks. 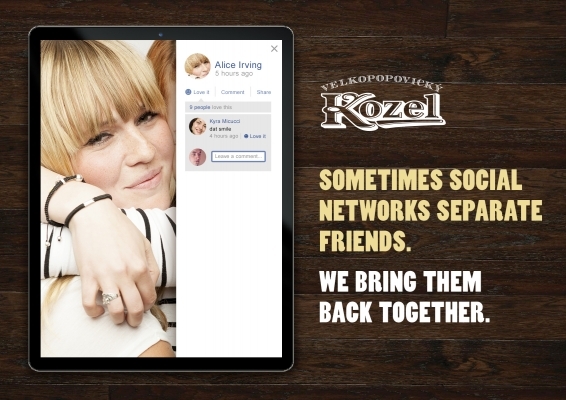 And we know that social network addiction often influences real friendship between people in a negative way and leads to friend separation. 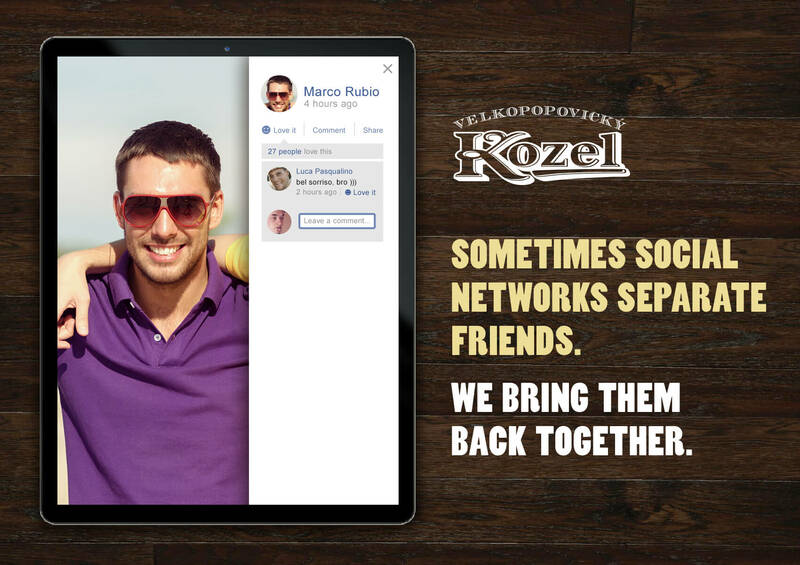 Have you ever noticed that profile pictures are often cut out from group pictures with friends? Friends find themselves separated in such photos for social networks, and we were able to demonstrate it with our print series. 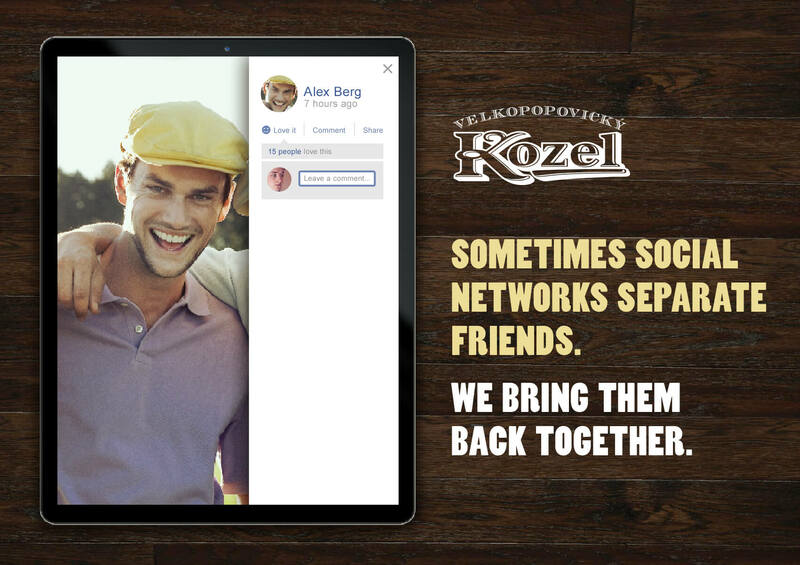 Exactly in this situation, when social networks have become enemies of real friendship, Velkopopovicky Kozel brand comes to the rescue. It has stood for real human friendship values for many years and keeps doing it. Previous PostLife From the Other SideNext PostEverything’s OK When We Are Together!